I’m a pretty big reader – I like novels and non-fiction alike (although I do struggle to find many novels worth reading). So I thought I would start a book review series in my blog to discuss things I have learnt from the books I have read. Maybe some of my readers will find this boring – I am sorry – I suppose this is really more for me than anyone else, to consolidate my own learning! But then again, maybe it will be interesting for someone J.
I’d like to kick off this blog post series with my thoughts on a book by John Owen called “Indwelling Sin in Believers”. I was introduced to John Owen through an article by Rosaria Butterfield on desiringgod.org (John Piper’s website). 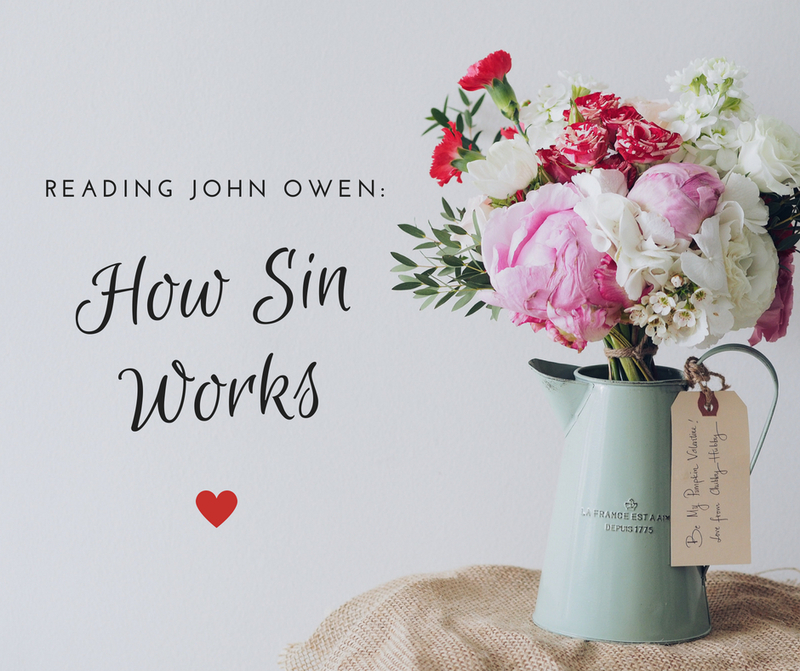 This article was a life-changing read for me and I wanted to know more, so I followed up the reference made to John Owen’s writings and purchased a book called “Overcoming Sin and Temptation” – an edited version of three of Owen’s books on the subject (including Indwelling Sin in Believers). John Owen was a 17th century Puritan and theologian; many would argue one of the greatest who ever lived. HOWEVER, his books are notoriously heavy and difficult to read, hence why I have not met many people who are familiar with them. Feeling put off yet? 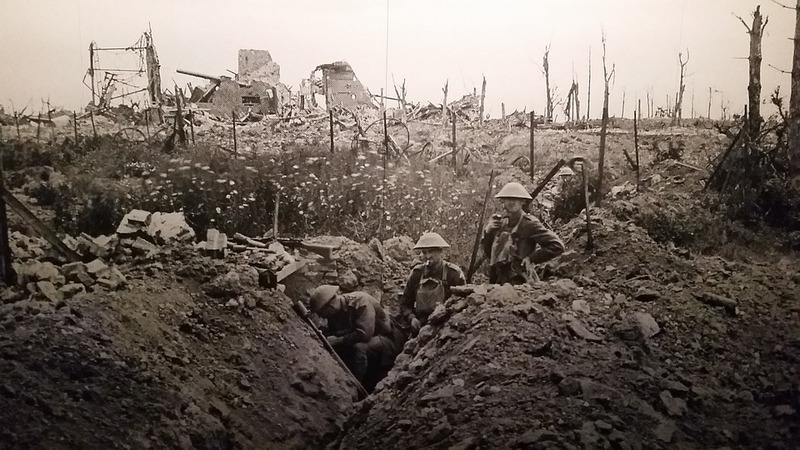 Miraculously, I actually felt quite the opposite – I was excited for the challenge and ready to start digging in and finding the gold that is said to exist in Owen’s work. And there really is so much gold. Apart from the Bible, I would have to say that this book has taught me more about myself and the right way to walk before God than any I have read before it. But enough introduction. Let’s get cracking. The first thing to note is that this book is aimed at believers (those who have accepted Jesus as their Saviour and King). 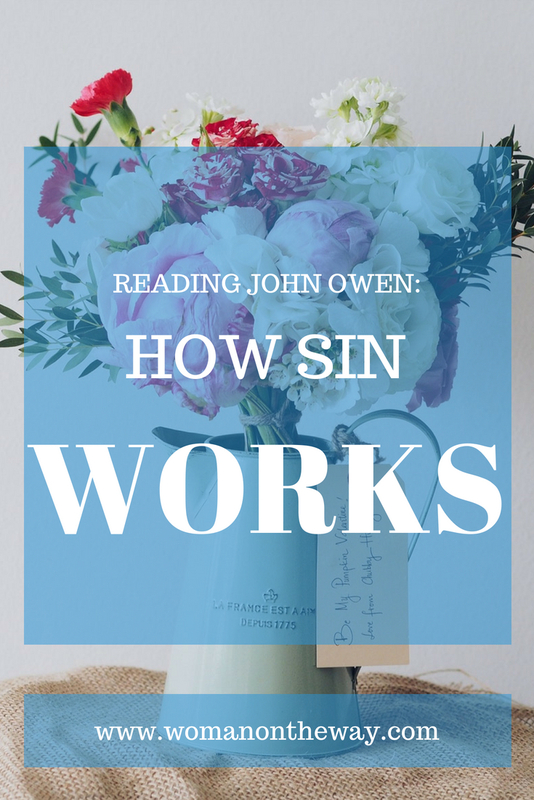 Having said that, Owen asserts that although the condemning power of sin has been dealt with in the believer (i.e. it no longer has the power to condemn us to death and hell), the indwelling power of sin still exists within us. It no longer exists in isolation – there is now the law of grace that dwells within us too – but nevertheless, it exists. This is the source of the battle that rages within every Christian: “For I do not do the good I want, but the evil I do not want is what I keep on doing. Now if I do what I do not want, it is no longer I who do it, but sin that dwells within me.” (Romans 7:18-19). This is a complex topic in itself and Owen goes into a lot of detail to break it down for his readers. I don’t want to focus on that portion of his book though – I’d prefer to go on to what he later discusses, being how the indwelling power of sin works to 1) prevent the believer from doing good and 2) cause the believer to do evil instead. 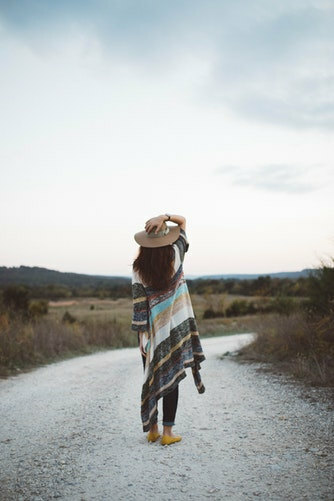 WHY SHOULD I THINK ABOUT SIN? being humble towards God, which is the only state God favours: “These are the ones I look on with favour: those who are humble and contrite in spirit, and who tremble at my word.” Isaiah 66:2.
being humble towards others, which leads to compassion and readiness to forgive (two other qualities we are commanded to have in the Scriptures). Having hopefully convinced you of the necessity of this study, let's make a start on the meatier stuff - how sin actually works. The end of sin is shown: death. This is what sin attempts to hide at all costs. Temptation and deception are the same. To put it another way, Christians are tempted because they are deceived – we believe the lie that indwelling sin tells us. If we knew the vile monster we were cuddling, we would not touch it; it is only because we believe it to be a soft, adorable kitten that we embrace it. It draws away the mind. Sin is conceived in the will. Owen writes many pages on each of these steps of deceit. In my next post, I’ll tackle the first one – the drawing away of the mind. I hope you’ll come on the journey with me. Woohoo, awesome summary! (perhaps I'll just read your summaries and that will save me the reading......... lol).